The Vertigo 64 Ring Guillotine Cutter was designed to chop even the fattest of big-ring stogies out there. Compact and durable, this cutter cuts the cap on up to a 64-ring cigar with ease. For under 5 dollars this cutter is a steal. My other cutter is a 3 dollar craftsmen bench cutter. which works fine, but won't cut the big boy rings. Now I can slice into my favorite CAO Brazil Amazon with ease. 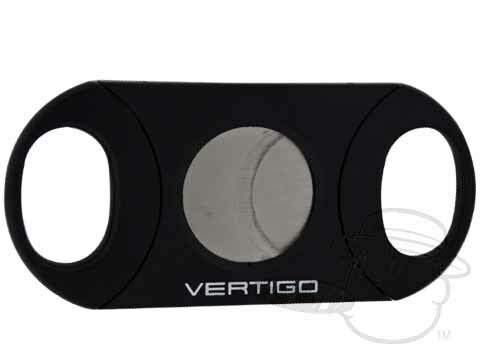 Vertigo Big Boy 64 Ring Guillotine Cutter By Lotus is rated 4.1 out of 5 based on 2 customer ratings.